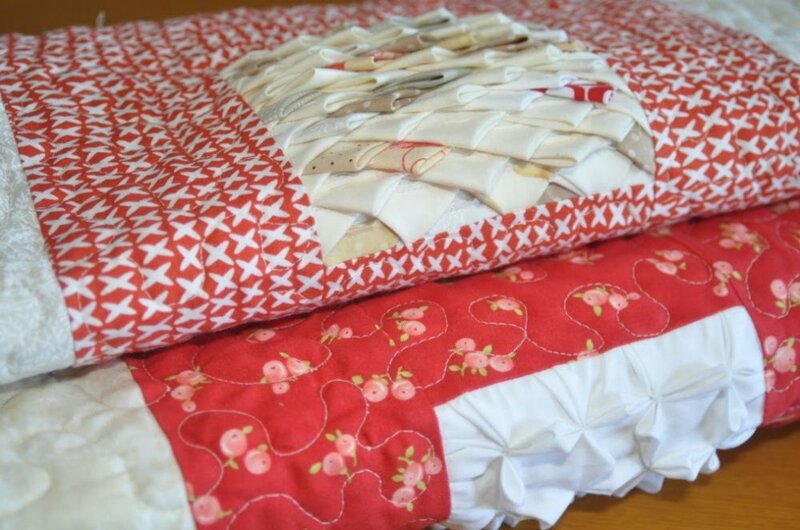 "This is a quilt that explores texture in fabric. 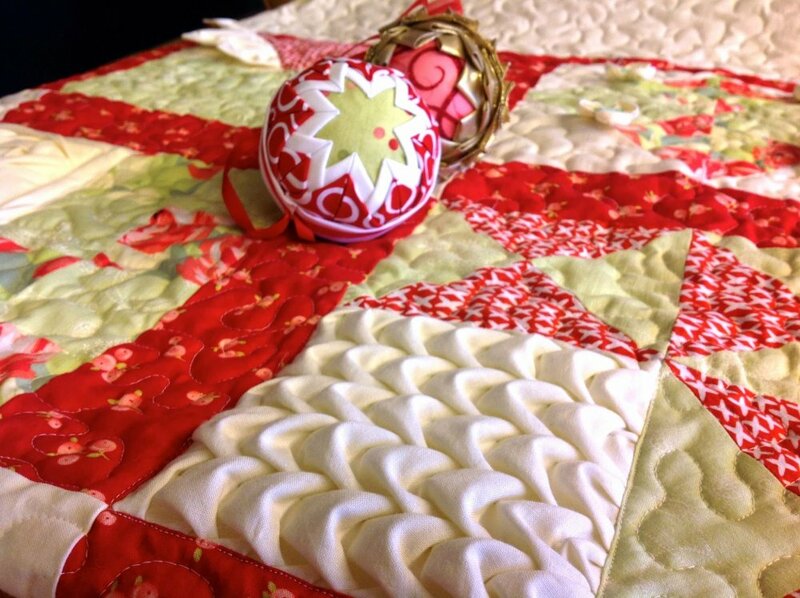 The quilt builds on the skills I acquired while doing my first textured quilt sampler. 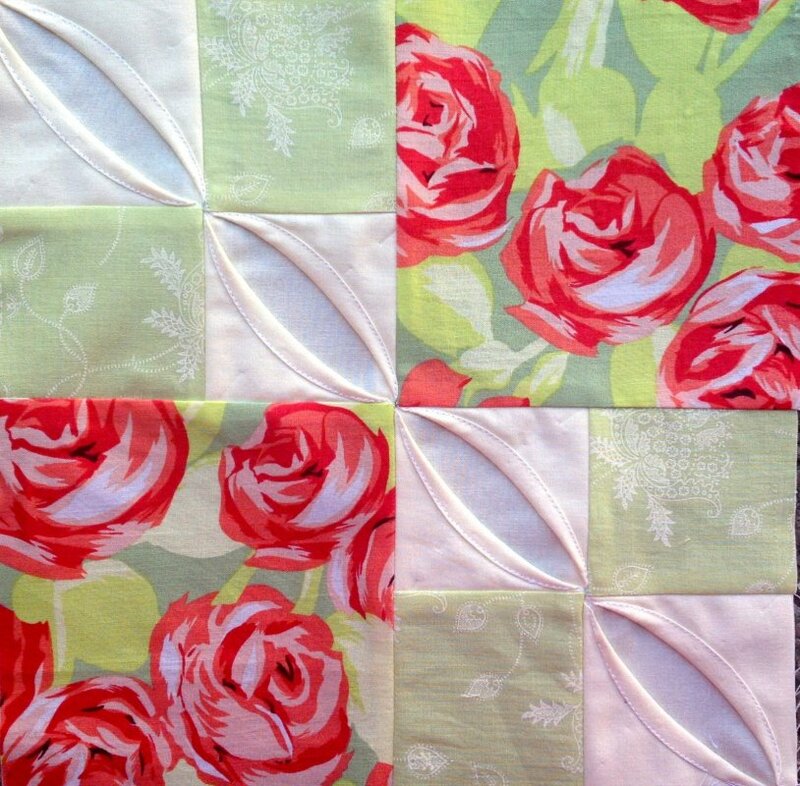 This quilt has sixteen ten-and-a-half-inch blocks. "The colour scheme is of reds, greens and creams. 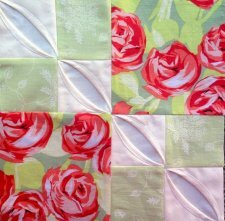 The fabric manipulation is made in a cream fabric or ribbon. The quilt is made with fabric scraps and ribbon and therefore the tutorial does not include exact fabric needs. "This quilt is in progress."